As we noted in a recent live review, "Harlem Shake" producer Baauer has managed to leverage a 30-second meme into a pretty damn good live show. 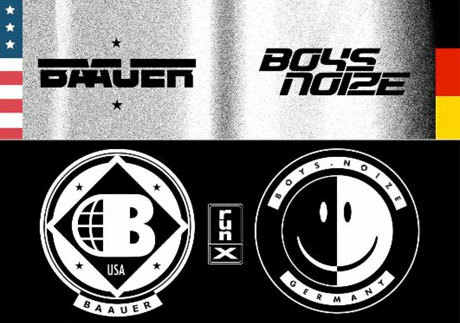 This fall, the Brooklyn hotshot will be bringing his bombastic bass drops across North America on a co-headling tour with German DJ Boys Noize. Nearly all of the 25 shows on the so called "run X" tour are in the U.S., but there's also a single Canadian date: October 10 at the Commodore Ballroom in Vancouver. In addition to the two headliners, these shows will feature Spank Rock, Nadus, and a DJ set from Lido. See the "run X" tour dates below. Baauer apparently has another fall tour in the works as well. What's more, the announcement notes he's working on more new material at his home studio.